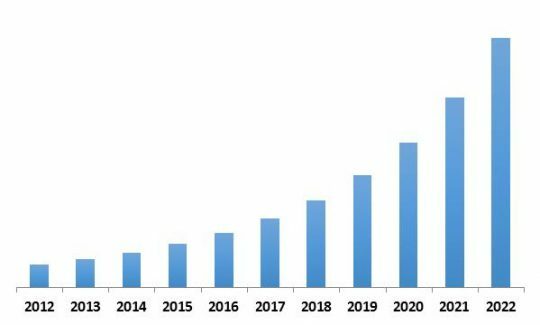 According to a new report Global Automatic Content Recognition Market, the market is expected to attain a market size of $ 41.5 billion by 2022, growing at a CAGR of 29.0% during the forecast period. Automatic Content Recognition technology helps audiences easily retrieve information about the content they watched. For smart TVs and applications with Automatic Content Recognition technology embedded the audience can check the name of the song which is played or descriptions of the movie they watched. Automatic Content Recognition technology enables automatic monitoring of the content played in TV. Information like the time of play, duration, frequency can be achieved without any manual effort. The automatic content recognition market is broadly classified into media & entertainment, consumer electronics, e-commerce, education, automotive, IT & telecommunication, healthcare, defense & public safety and avionics based on the technologies. Media & entertainment holds the major market share of around 17% in 2015. Consumer electronics is one of the fastest-growing vertical in this market as the electronics manufacturing companies are increasingly embedding ACR technology in the smart devices such as TVs, and mobile handsets. Based on the type, the Automatic content recognition market is segmented into solution and services. 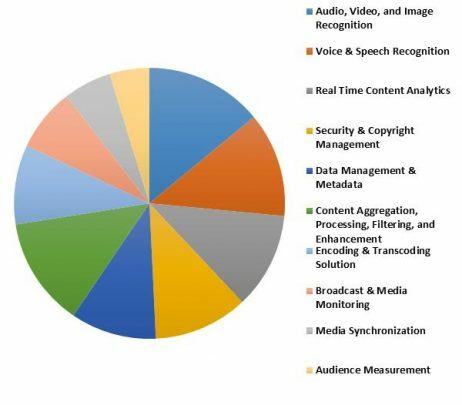 Solution Segment is further divided into Audio, Video & Image Recognition, Voice & Speech Recognition, Real Time Content Analytics, Security & Copyright Management, Data Management & Metadata, Content Aggregation, Processing, Filtering & Enhancement, Encoding & Transcoding Solution, Broadcast & Media Monitoring, Media Synchronization and Audience Measurement. In 2015, Audio, Video & Image Recognition with market share of around 14% has dominated the solution market. The North America region contributed the largest revenue share to the market worldwide due to early adoption of technology, followed by Europe region. The Asia-Pacific region is seeking promising potential and would grow at a CAGR of 34.4% during 2016-2022. In North America, US dominated the North America Automatic Content Recognition Market. The Country has registered revenue of $ 2.6 billion in 2015. The Canada market is expected to grow at the fastest growth rate of 29.7% CAGR during the forecast period. The report has exhaustive quantitative insights providing a clear picture of the market potential in various segments across the globe with country wise analysis in each discussed region. 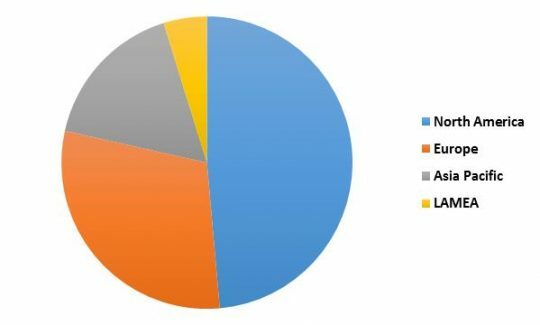 The key influencing factors of the global Automatic Content Recognition market have been discussed in the report along with the elaborated company profiles Microsoft Corporation, Google Inc. (Alphabet Inc.), Nuance Communications, Inc., Digimarc Corporation, Shazam Entertainment Limited, ArcSoft, Inc., Enswers Inc. and Doreso.